Our FreeStyle Limited+ Puppy & Adult Alaska Pollock recipe is a higher protein, lower carb recipe specially formulated for dogs preferring a simplified diet. A limited ingredient diet is great for pets with food sensitivities. 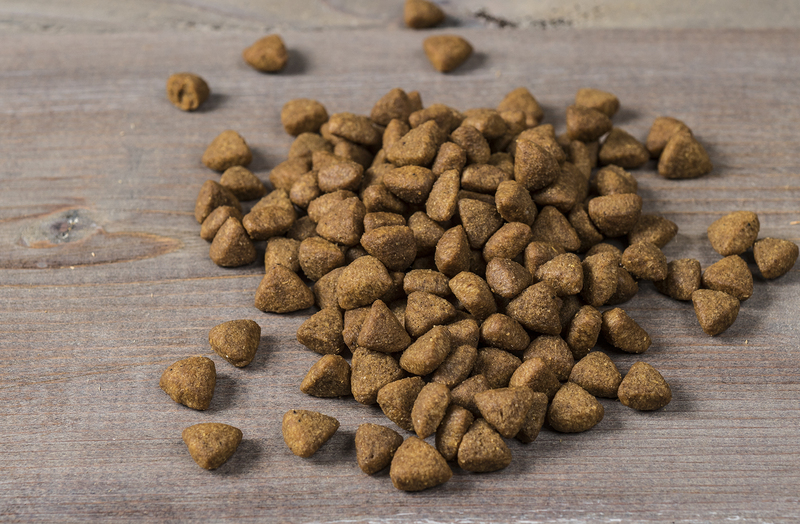 Plus, our Alaska Pollock recipe contains the patented probiotic GanedenBC30 – the first of its kind to survive the cooking and extrusion process that occurs when making kibble. This means the probiotic is making its way straight to your pup’s bowl to help them with gut and digestive health! 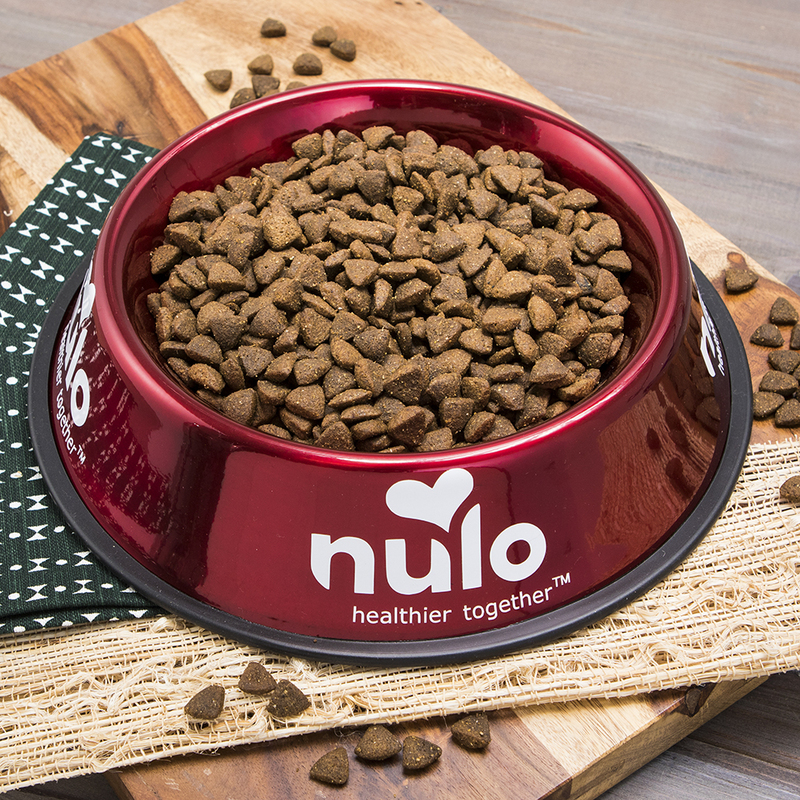 With 42% of an 8 oz cup coming straight from pollock and pollock meal – your dog isn’t going to be able to resist mealtime! AVAILABLE IN 4 LB, 10 LB, AND 22 LB BAGS. Pollock, Pollock Meal, Green Lentils, Red Lentils, Canola Oil (preserved with Mixed Tocopherols & Citric Acid), Whole Flaxseed, Dried Sweet Potatoes, Miscanthus Grass, Natural Flavor, Potassium Chloride, Salt, Calcium Carbonate, Dried Chicory Root, Choline Chloride, Monosodium Phosphate, Vitamin E Supplement, Zinc Proteinate, Vitamin E Supplement, Zinc Sulfate, L-Ascorbyl-2-Polyphosphate (source of Vitamin C), Iron Proteinate, Niacin Supplement, Ferrous Sulfate, Copper Proteinate, Copper Sulfate, Vitamin A Supplement, Manganese Proteinate, Thiamine Mononitrate, Calcium Pantothenate, Riboflavin Supplement, Pyridoxine Hydrochloride, Manganous Oxide, Biotin, Dried Bacillus coagulans Fermentation Product, Vitamin B12 Supplement, Vitamin D3 Supplement, Folic Acid, Sodium Selenite, Calcium Iodate, Rosemary Extract. 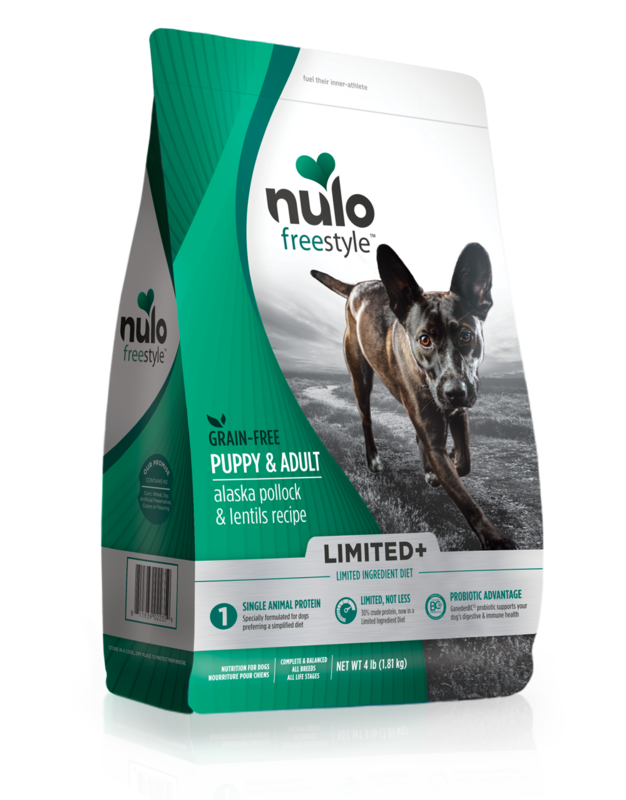 FreeStyle Limited+ Puppy & Adult Alaska Pollock Recipe is formulated to meet the nutritional levels established by the AAFCO Dog Food Nutrient Profiles for all life stages including growth of large size dogs (70 lb. or more as an adult).